Happy Wednesday!! I hope everyone is having a good week so far. 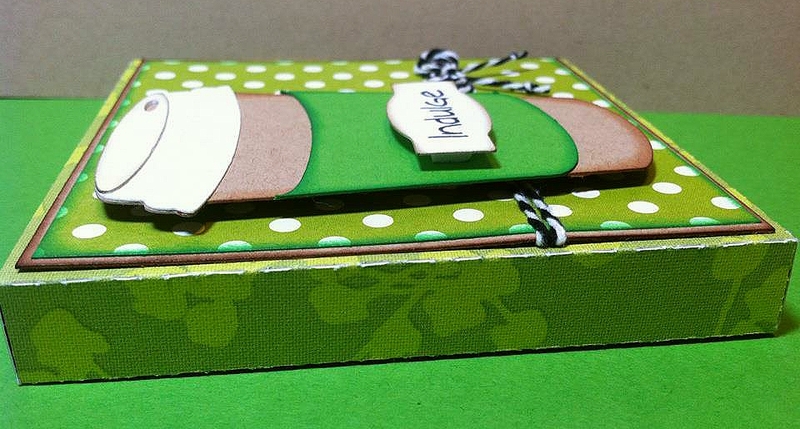 Today I wanted to share with you a card with matching gift box I made for a friend's birthday. We are obsessed with Starbucks and joke daily about kicking our addiction but we never do :) Anyways her birthday is next week so I created this cute little gift box to put.... but of course.... a starbucks gift card inside! "Indulge" is from Jaded Blossom "Food & Drink" stamp set. Both the coffee cup and the gift box were cut from the Silhouette store. 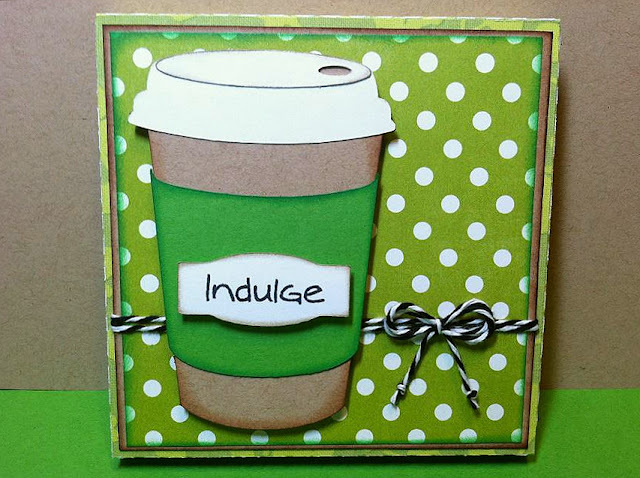 Here is a shot of the side.. you can see I pop dotted the coffee cup and "indulge"
And here is the matching Birthday card. 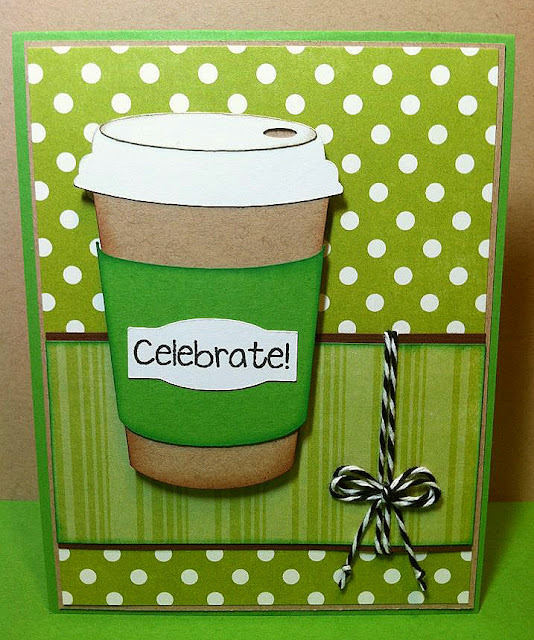 Celebrate is from Jaded Blossom "Misc. Fun" stamp set. This is so cute. I love the paper you used and sentiment. Great card!